On Monday the final World Championship event of the calendar year the U23 World Championships kicked off from Bucharest, Romania. Friday, the men’s freestyle portion of the tournament will begin. The 57 kg, 65 kg, 70 kg, 79 kg, and 97 kg weight classes will start. Saturday, the medal rounds in these five weights will be conducted. The remaining five weights will start their tournaments on Saturday, as well. Jack Mueller – A 2017 All-American as a true freshman at 125 lbs for Virginia, Jack Mueller bulked up to wrestle 133 pounds last season. He was a match away from getting onto the podium for the second time. 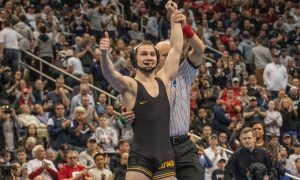 Mueller will redshirt the 2017-18 to focus on preparing for this tournament. Jack breezed his way through the U23 World Team Trials, four techs in his five pre-finals matches. He swept RayVon Foley (Michigan State) two matches to none in their final series. Sean Fausz – Sean is preparing for his senior season as the 125 lber for NC State. Last year he captured his first ACC Championship and earned the fifth seed at nationals, though he ultimately did not place. 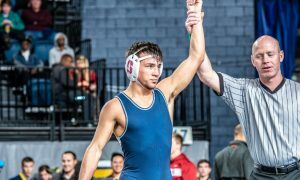 Despite wrestling at 125 lbs, Sean has been known as one of the bigger wrestlers in the nation for that weight, so size should not be a problem for him. 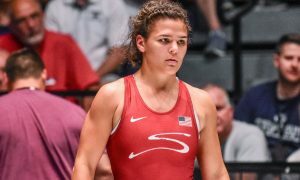 Fausz finished fourth at the U23 WTT’s and was named to the team when Vito Arujau (Cornell) had to withdraw. Colton McCrystal – In 2017-18 Colton McCrystal finished his collegiate career wrestling for Nebraska. He qualified for the NCAA Championships in each of his last two seasons. Both of those years saw him place top-four in the Big Ten. As a junior, Colton was a match shy of earning All-American honors. McCrystal finished third at the U23 WTT’s, yet was named to the team after Mitch McKee (Minnesota) withdrew from the competition. Hayden Hidlay – One of the younger members of the team, Hayden Hidlay is also one of the most talented. 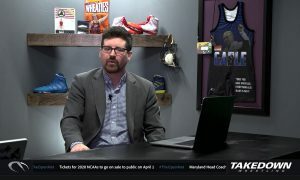 He is coming off of a freshman season that ended in the NCAA finals, where he dropped his only match of the season too, now two-time NCAA Champion Jason Nolf (Penn State). Hidlay earned his spot on the team after knocking off 2018 Junior World silver medalist Ryan Deakin (Northwestern), two matches to one, in their best-of-three series. Alex Smythe – One of the most surprises U23 WTT’s champions turned out to be Alex Smythe (Buffalo). Alex has yet to qualify for nationals yet for Buffalo; however, he prevailed over NCAA third-place finisher Evan Wick (Wisconsin) in their best-of-three series. Smythe had kept the momentum going into the collegiate season and was impressive when he upended Evan’s twin Zander in the first dual meet of the season. 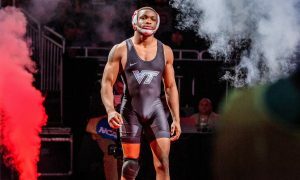 David McFadden – David is attempting to become the second current Virginia Tech wrestler to come home with a world gold medal this year, which would match Junior world champion, Mekhi Lewis. McFadden has AA’ed twice in as many tries for the Hokies and will be moving up a weight class to 174 lbs this year. His spot on the team was clinched with two straight victories over three-time All-American Daniel Lewis (Missouri). 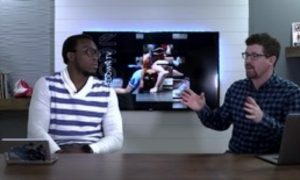 Myles Martin – Could Myles Martin be the latest member of the Ohio RTC to win a world medal? 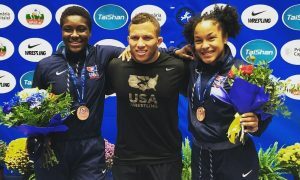 The number one ranked 184 lber in the nation dominated the field at the U23 WTT’s, winning six of his seven matches without surrendering a point. 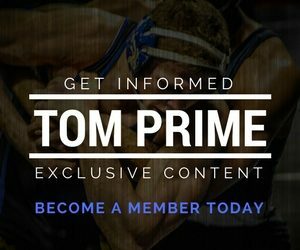 Christian Brunner – The two-time NCAA qualifier from Purdue, Christian Brunner got the call to man the 92 kg spot on this team after Michael Macchiavello (NC State) was deemed to be too old to compete. 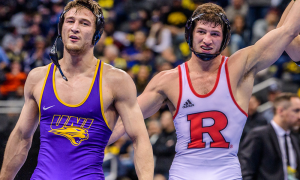 In his first two years in West Lafayette, Brunner has finished in the top-seven of the Big Ten at 197 lbs, always a difficult feat for youngsters. Christian was fourth at the U23 WTT’s. Kollin Moore – The only American wrestler in this group with previous world hardware is Ohio State’s, Kollin Moore. Kollin has made two Junior world teams and took home bronze in his second trip. To make the team, Moore had to defeat Kyle Conel (Kent State) twice, getting some semblance of revenge on the wrestler who upset him twice at the 2018 NCAA Championships. 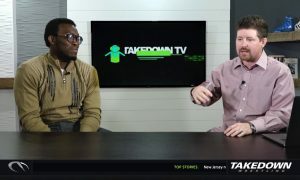 Youssif Hemida – It’s not a surprise that the big man on this squad, Youssif Hemida (Maryland), is coached by one of the best American heavyweights over the last 20 years, Kerry McCoy. Hemida came into his own last season, getting onto the All-American stand for the first time and following that up with a run through the U23 WTT’s.